I am just going to come right out and say it…… Pala Pizza is one of my all-time favorite gluten free restaurants in New York City. 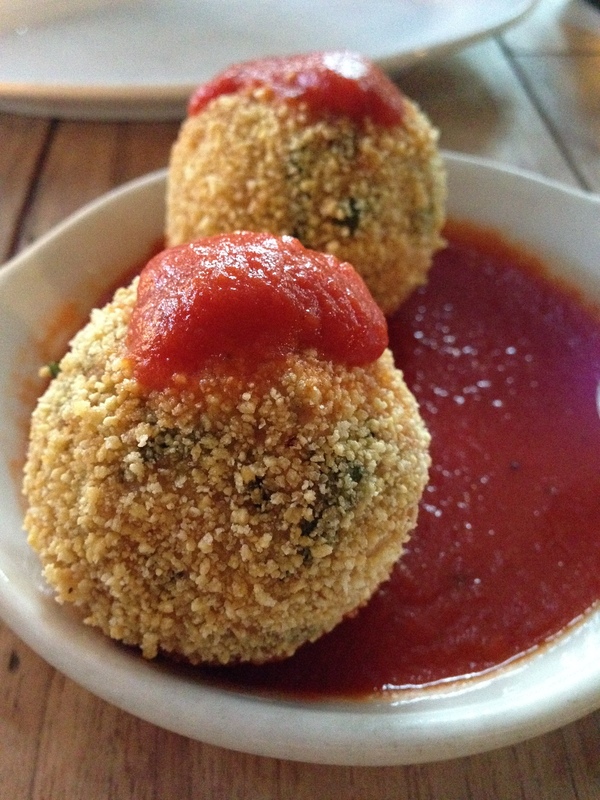 Not only does Pala offer gluten free pizza but it makes just about everything on its menu gluten free including: fried calamari, pasta, risotto balls, meatballs and the list goes on! It’s a true haven for us gluten free foodies. I only wish I lived closer to order delivery. Luckily for us, Pala will be offering nationwide delivery of its gluten free pizzas (woohoo!). Stay tuned! Need I say more? Seriously, if you’re gluten free then you can understand my excitement to see this option on the menu. 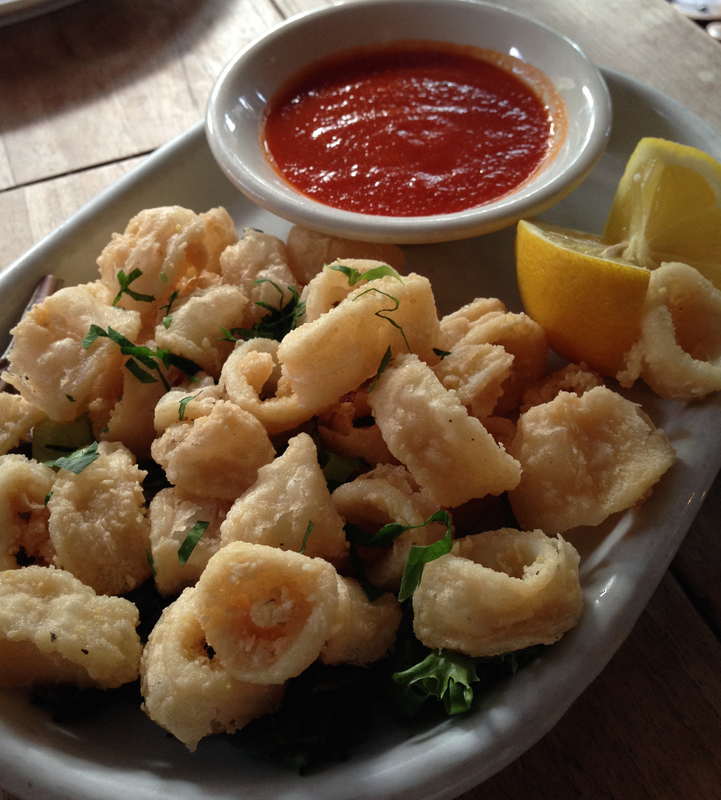 It has been over a year and a half since I’ve had calamari. I’m delighted to report Pala’s calamaris is perfect and exactly what I would expect; lightly battered and fried. A really nice surprise is the homemade marinara sauce. I’m not one to typically rave about it but I’d have to say it’s the best marinara sauce I’ve ever tasted while eating out. I even requested some on the side for my pizza! After speaking with Edena, one of Pala Pizza’s partners, I learned that the marinara sauce is made up of only 5 simple ingredients! It’s a true testament to a great chef who can enhance the flavors of sinple, commonly used ingredients and turn them into a mouthwatering must have. One bite and it’s easy to see why this is one of Pala’s most popular appetizers. Don’t let their size fool you, these little guys pack a delicious punch. Big balls of risotto that’s cooked well and flavorful. There’s just enough spinach to let you know it’s there but not get in the way of the mozzarella. And of course, Pala’s addicting marinara sauce to top it off! I’ve heard many good things about Pala’s Pizza so of course I was eager to try this main attraction. And I must say that if you go to Pala that the gluten free pizza is a must. The crust is perfect because its not too thin or too thick with a nice chewy crunch and has all the makings of a traditional gluten-filled crust. It even bubbles up in some spots which I personally love! 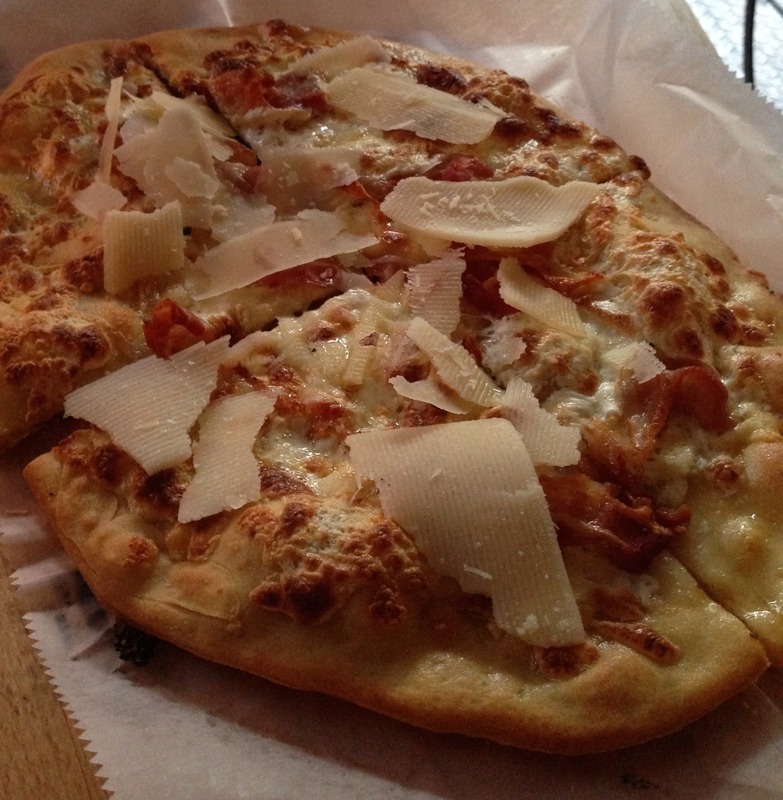 There are more than a dozen options of gluten free pizzas so there’s something for everyone. Even if you’re vegan! You can bet that if their is a gluten free dessert on the menu then I’m ordering it (no shame). Pala Pizza always has at least one gluten free dessert on the menu. 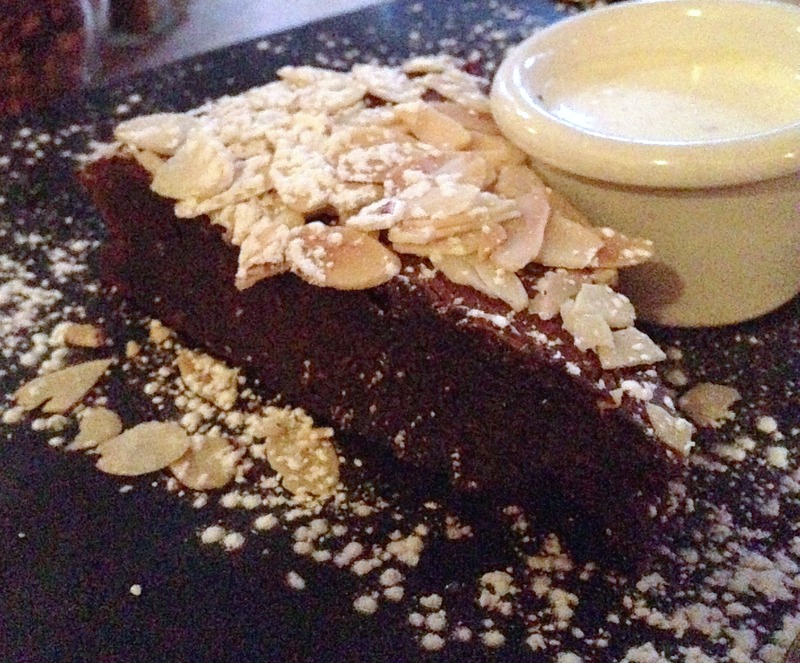 This tasty slice of chocolate heaven is a perfect way to top off dinner. Fun Fact: Pala Pizza does a fantastic job at minimizing cross-contamination. They use separate equipment and designated areas for all gluten free food. Plus, a separate oven to cook all the gluten free pizza, awesome!! Verdict: I mean come on, not only does Pala have amazing gluten free appetizers, pastas, pizzas and desserts but they go out of their way to minimize cross-contamination issues. I also love how Pala Pizza offers diary-free and vegan options so basically anyone can eat here and get a delicious meal. Another great perk is the open garage door which adds a bustling atmosphere to the restaurant. Overall, I had such a great time I can’t wait to go back because this is definitely going to be a regular spot for me.